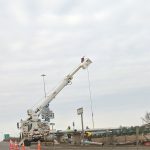 JAMESTOWN, N.D. (NewsDakota.com) – Crews have started installing traffic signals on the US Highway 281 bridge over I-94 near Jamestown. 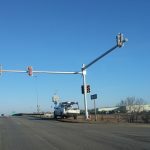 The traffic lights come as part of an North Dakota Department of Transportation (NDDOT) project that also consisted of concrete deck repairs. 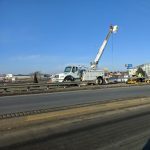 The repairs and traffic lights were estimated to cost around $200,000 on a 90/10 split in Federal and State funding. Work on the deck repairs was completed in October 2018. 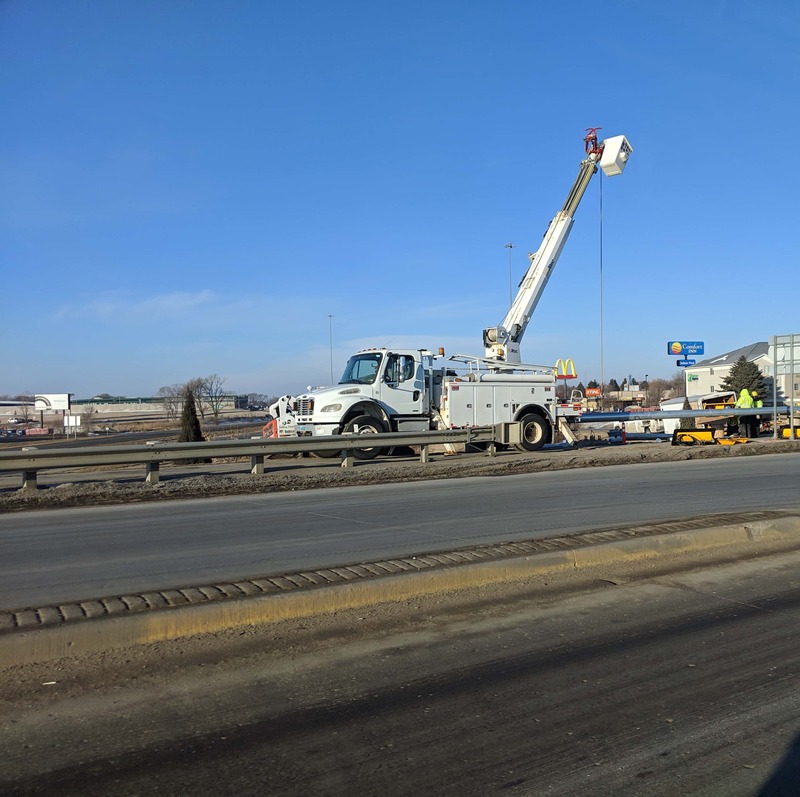 Right now, crews have begun to finish work on the traffic lights. 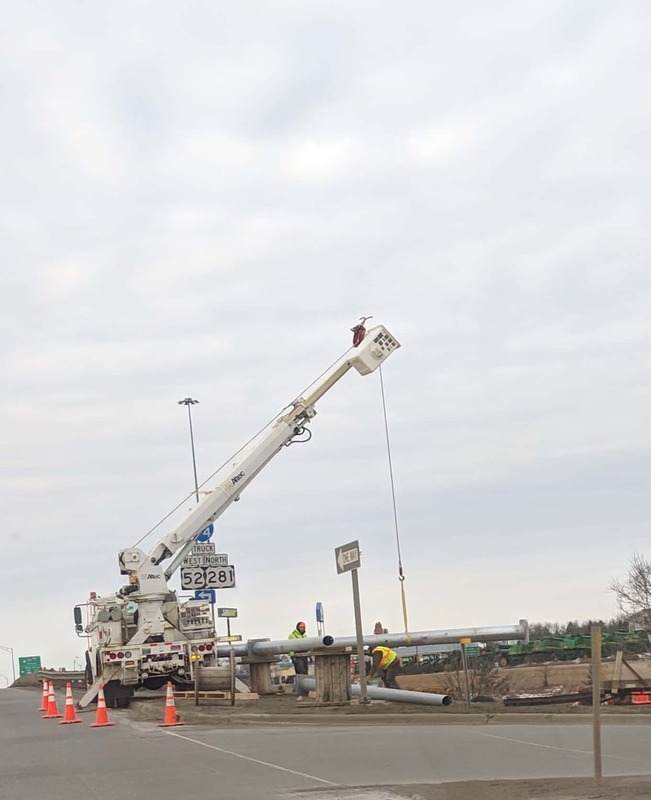 The bridge traffic lights will be at the on- and off- ramps of Exit 258. Community support was given at an NDDOT open house in 2018. 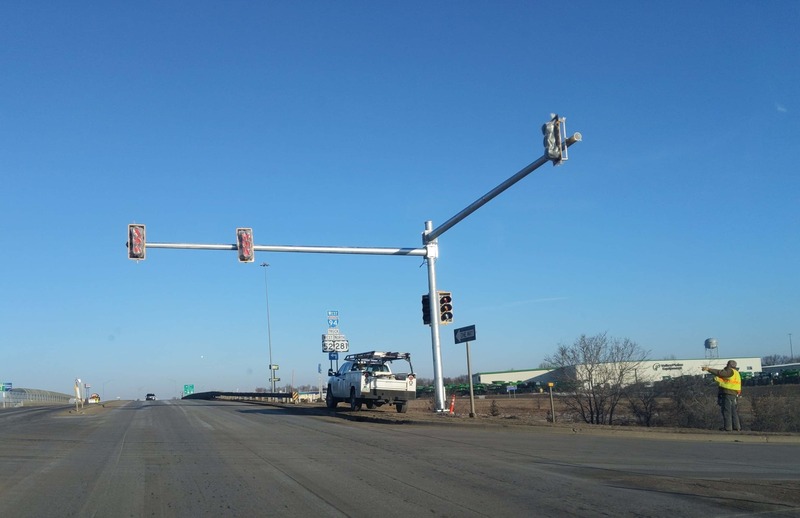 One of the finished lights located in the northbound portion of Highway 281 in Jamestown.